Bonus Material – Our three point weight loss plan you can start today! Lose weight now with these amazing pills! 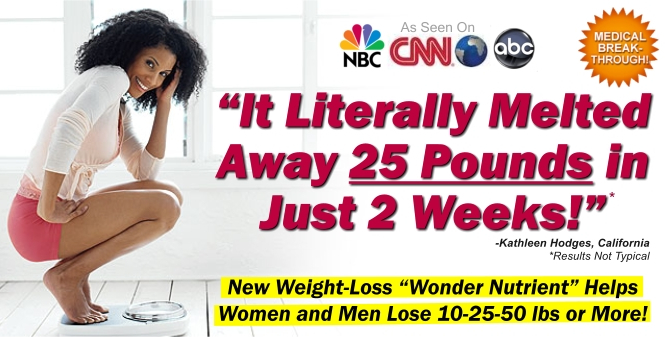 Miracle weight loss with only one pill a day! Never be hungry again – amazing and fast weight loss! How familiar does this advert look? So, what caught your attention first? Was it all those main stream news channel logos? I mean, if the peacock says it works, it must work right? Or, if it’s on the internet it must be true, right? Sticking that phrase “Medical breakthrough” on a circular star just about sealed the deal for me, how about you? I think by far my favourite weight loss fads involve fruits I’ve never heard of, coming from places I didn’t even know existed on a world map. First of all, losing 25 pounds in two weeks shouldn’t sound appealing to anyone. In fact, it should sound dangerous and set off warning bells to stay far away. Weight loss, as you are more than likely aware, is a multibillion dollar industry, and the competition for the next fad diet is fierce. Even the online advertising giants, like Google and Facebook, ban this type of advertising, because they know of its dangers. We don’t like using the “F” word, but our idea of fat has changed dramatically over the years. Today our society is obsessed with weight loss, and there are desperate people out there who will try anything to lose weight, even if it means risking their lives. The pressure today to be thin can only be summed up in one word – crazy! We are constantly bombarded with images of how we should look, even though these images do not reflect the average human being. Photoshop maybe a great programme for graphic designers, but in our opinion, magazines that talk about lifestyle and fashion shouldn’t be allowed to use it. In fact, any image manipulation software shouldn’t be used on people at all! Thankfully many societies are seeing the horrible effects caused by image manipulation software that is used on models in magazines, or online. France, for example, has banned the use of this type of software or programs that manipulate the way we look. So, in a sense, we are making some progress in this crazy world of ours. But what about these fad diets? Where do we draw the line? The effects are often similar, and the pressure to be thin is still very relevant. Young girls in particular are drawn in with these promises of fast weight loss. Anorexia and Bulimia are a direct result of this type of advertising. It’s bad enough that our young people are under a constant barrage of peer pressure, but to subject them to media pressure as well is bordering on unacceptable. Can you really lose weight today? The best way to answer this question is to look to science. In one of our recent articles, titled Lose Weight Today, we go over some small proven techniques that can help you lose weight in one day. Scientifically and medically speaking, yes you can lose weight today. It may be just a small amount, but you can, with a little effort, wake up tomorrow morning weighing less than when you left your bed this morning. If there is one repetitive message we love throwing out there, it’s how altering your lifestyle and making healthy choices can drastically change your life for the better. Let’s go over a few “small” and proven methods that can help you lose weight today. You can read the rest of the article here for more great tips. Let’s face it, no one does well with major lifestyle changes overnight. The biggest problems we face when setting our goals is setting the expectations way too high. We often set such high expectations that we make it impossible for ourselves to reach it. This in effect causes disappointment, which can lead to bouts of depression, which results in us eating more. It’s a vicious circle, and the end result never changes. Undertaking small and manageable changes in your life will result in success no matter what your endeavours may be – this has been proven. In our experience, with our gastric mind band clients, we’ve seen first-hand the seemingly effortless permanent weight loss after incorporating these small changes into their daily lives: changes that don’t turn their lives upside down, changes that are easy to incorporate in normal day-to-day living, as opposed to committing to live on Cabbage Soup, or rising at dawn each morning and running to the gym. If you’re tired of yo-yo dieting, or fad diets that require iron willpower or face failure, then it’s time for a lifestyle change. But, making the jump too quickly will lead to failure, so the trick is to incorporate some small changes first, and most of all, remember not to be too hard on yourself through the process. Improve our metabolic health at the same time. This weight loss plan is very simple and straightforward. You won’t find any gimmicky sales tactics here, but you will find success and achieve the three desired results mentioned above. 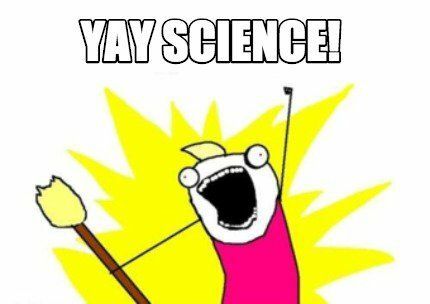 This is why we love science – medical science tells us if we reduce the amount of sugars and starches in our diets we can lose up to 10 pounds if not more, in as little as one week. Sugar and starches are the foods that stimulate secretion of insulin the most. Because insulin is the main fat storage hormone in the body, when the level of insulin reduces, fat has an easier time getting out of the fat stores and the body starts burning fats instead of carbs. Another big benefit to lowering your insulin level is your kidneys begin to shed excess sodium and water out of your body. This reduces bloating significantly, and excess water retention in the body. Research suggests that if you cut down on carbs, you will begin to lower your insulin levels and you will start to eat less calories automatically and without hunger. Imagine for one moment, putting weight loss on autopilot? Removing sugars and starches (carbs) from your diet will lower your insulin levels, kill your appetite and help you lose weight with a reduced feeling of hunger. By preparing or constructing your meals to include protein, good fats and vegetables, you will automatically bring your carbohydrate intake into the recommended range of 25 to 50 grams per day. Protein has been shown to boost metabolism by 80 to 100 calories per day. High protein diets are known to help reduce obsessive thoughts about food by 60%, it reduces desire for late-night snacking by half, and protein can keep you feeling so satisfied that you automatically eat up to 400 fewer calories per day. 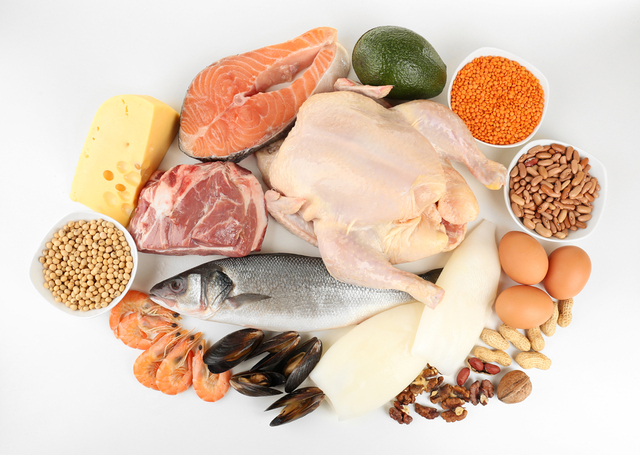 If you want to lose weight, then protein is king when it comes to nutrients. Meat, such as beef, chicken, pork, lamb, bacon, etc. Fish and Seafood, such as salmon, trout, shrimps, lobster, etc. Eggs that are omega-3 enriched or pastured eggs are best. Vegetables are a no brainer and it turns out our parents were right for trying to shove them down our throat when we were kids. With low carb vegetables, you can load up your plate, and eat plenty of them without going over 20-50g net carbs per day. In fact, a diet based on meat and vegetables contains all the fibre, vitamins and minerals you need to be healthy. Fats shouldn’t be feared, and over the years fats have gotten a pretty bad rap. But there is a huge misconception about certain fats, and it’s mostly caused by the very word “fat”. Yes, the “F” word strikes again! But, not all fats are bad for you. 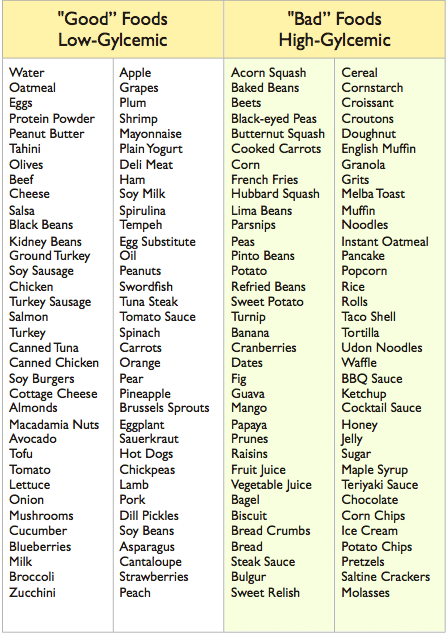 In fact, you NEED some good fats in your life, and here is a list of great fat sources to choose from. Ideally, you should be eating 2-3 meals per day. But, if you find yourself hungry in the afternoon, you need to add a 4th meal. One thing you should never do is try both a low carb and low fat diet at the same time. This is a recipe for disaster, and will make you abandon your plans very fast. By assembling each meal from a protein source, a fat source and a low carb vegetable source, you will drastically lower your insulin levels. This then puts you into the range of 25 to 50 grams of carbs. Again, your body goes into autopilot and the weight starts to come off. A common side effect to losing weight is our metabolism begins to slow down. Studies on low-carb diets have shown that you can gain some muscle while losing a big amount of body fat. By doing some cardio three times per week, like lifting weights for example, you can burn more calories, and the even better news is that your metabolism will stay elevated for several hours after you’ve finished exercising, which all prevents your metabolism from slowing down. Lifting weights isn’t the only option, so if you don’t like the idea of weightlifting, don’t panic. 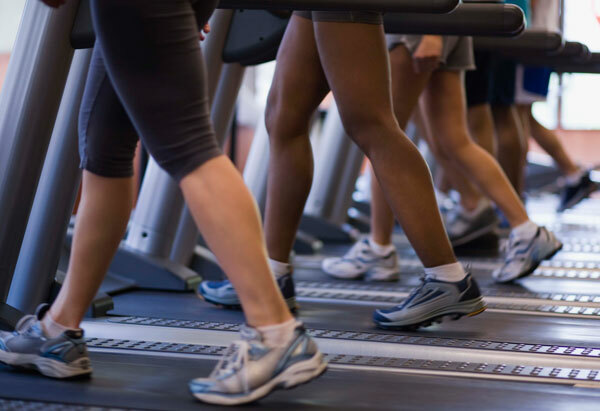 Cardio also includes easier workouts like running, jogging, swimming or best yet, even walking. If you were to walk for 20 minutes three times a week, and follow the rest of our three-point weight loss plan, you will successfully fulfill your weight loss goals. If you combine resistance training, like weightlifting, three times a week, with your new healthy eating habits, your new lifestyle will turn heads! Losing weight today is more than possible, and scientifically proven. By starting off small, you can integrate all of this into your daily routine easily and without hassle. As long as you don’t set yourself up for failure, and take things slow and steady, your weight loss goals can be achieved ten times over. Whatever you do, don’t give into gimmicky sales pitches about fast weight loss!